AirPlay What's AirPlay, And How To Use It In Mac OS X Mountain Lion What's AirPlay, And How To Use It In Mac OS X Mountain Lion Imagine you want to play your favorite album in Spotify. Naturally, you'll be hooking your computer up to a better sound station. But what if you're lying in bed, or sitting on the couch? Ideally,... Read More is Apple’s way of wirelessly streaming audio and video to supported devices on your local network. 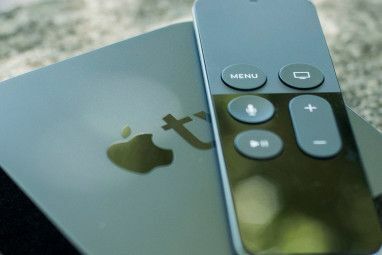 If you have one of Apple’s more recent Airport base stations, an Apple TV or a Boxee box at home, you should already be able to stream music from your computer to your entertainment system, wirelessly. Originally, only iTunes was outfitted with AirPlay capabilities. Later, the option was added for you to route all system audio to an AirPlay device, like an audio counterpart to AirPlay screen mirroring What's AirPlay, And How To Use It In Mac OS X Mountain Lion What's AirPlay, And How To Use It In Mac OS X Mountain Lion Imagine you want to play your favorite album in Spotify. Naturally, you'll be hooking your computer up to a better sound station. But what if you're lying in bed, or sitting on the couch? Ideally,... Read More . These AirPlay devices should simply show up in your sound output settings, though Apple has made it notably more difficult to use AirPlay with third-party apps like Spotify or Rdio Spotify vs. Rdio: A Complete Comparison Spotify vs. Rdio: A Complete Comparison I recently cancelled my Spotify Premium membership after a year of uninterrupted monthly payments to the company. This decision came about when I accidentally signed up for 14-days of free Rdio Unlimited. Quite frankly, I... Read More instead of iTunes. For that, you’ll need something like Airfoil. If Apple doesn’t do it, someone else often will. Airfoil is a third-party application that aims to bridge this rather serious gap in usability. Apart from extending AirPlay audio functionality on Mac OS X computers, the PC version also makes Windows computers capable of this feat. If you’re a Windows user in an Apple hardware household, this is great news. Alternatively, Windows users should take a look at Shairport4w Send AirPlay Music To Your Windows PC With Shairport4w Send AirPlay Music To Your Windows PC With Shairport4w Play music from iTunes, your iOS device or anything that supports Apple's Airplay on your Windows computer. If you have a media center running Windows, or any PC you want to use as a second... Read More . 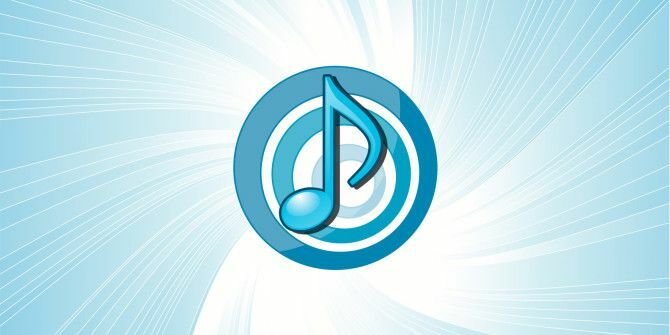 Airfoil is developed by Rogue Amoeba, who you might know from other high quality sound applications like Audio Hijack Pro. Together with AirParrot AirParrot Brings AirPlay Mirroring to Windows and Older Macs AirParrot Brings AirPlay Mirroring to Windows and Older Macs Although AirPlay - a system that allows you to stream video and audio between AirPlay-enabled Apple devices - works great in a lot of situations, it isn't a perfect system. Perhaps most importantly, Apple's AirPlay... Read More , which gives older computers (and PCs) access to AirPlay mirroring, Airfoil is an essential component of the AirPlay toolbox. After installing Airfoil, the application pops up both in the Dock and Menu Bar—or, if you’re using Windows, as a regular application in the task bar. Both provide access to pretty much the same settings, so if you want to limit the application to one of these two views, you can do this in the preferences. Alas, Airfoil can’t automagically add AirPlay buttons to all the interesting applications on your computer. As such, you’ll manage these things inside Airfoil. To start streaming, you just need two things: a source and a transmit destination. As a destination, just select your AirPlay device. You can even select multiple targets at once. This is great to play your music in multiple rooms, on different AirPlay devices. Pressing the source button shows you a whole list of options, as illustrated above, and often the better choice is to select a single application. In theory, you can select almost any application as a source for audio. Spotify transmission works flawlessly and the rest of your system’s audio is still played back locally. 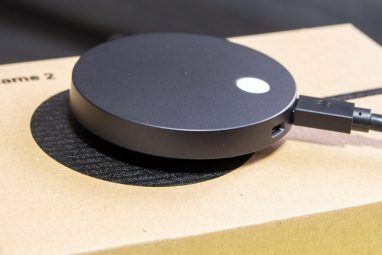 This means you won’t miss any important notifications while sitting in front of your computer, and that the music that comes out of your remote speakers is just that – music only. In Airfoil’s options you can further link AirPlay volume to your system volume. If supported, this will immediately adjust the volume on the AirPlay device when you use the volume keys on your keyboard. 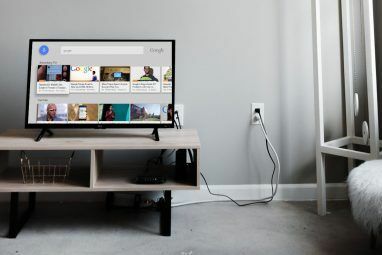 It may sound like a great idea to watch a video on your computer while rerouting the audio through your big AirPlay-connected sound system. The only thing standing in your way is a serious lag in the audio. Airfoil Video Player, which is included with Airfoil for Mac, solves this problem by similarly delaying the video. Use Airfoil Video Player to open local files and DVDs, or play web videos using the embedded delayed web browser. Browsing isn’t as smooth as you’re probably used to, but once the video is playing that won’t matter anyway. Even if you don’t think you have any AirPlay-compatible devices, you can use Airfoil. The free Airfoil Speakers application, which is available for Mac OS X, Windows, Linux, Android and iOS turns almost any device into an Airplay-enabled speaker (though the mobile apps work exclusively with Airfoil). Just download and install the application on any one of your devices (or all of them!) and you can subsequently use Airfoil to play audio on it. If you plug that device in, you’ll get an Airplay-enabled sound system. Airfoil is available for both Mac OS X and Windows. However, these two applications aren’t usually sold as the same package. $25 gets you Airfoil on only one operating system. Alternatively, you can buy a package bundle, which includes both versions for $40. Cheap? By no means. But depending on how often you use AirPlay and switch between operating systems, it might be worth it. Luckily, you can download a free trial from the website to find out. It’s an unlimited trial, but noise is overlaid on transmissions longer than ten minutes. Do you use AirPlay in your home? Have you tried Airfoil? Add your thoughts to the comments below! I enjoyed the article Simon, thanks. Don't forget to mention that if you select multiple speakers (and you Mac's speakers), the audio will play in sync. Which is pretty cool. In addition to the article, I'd like to mention Porthole. An app we've developed to offer some healthy competition ;) and a more straightforward take on AirPlay. It will let you use multiple AirPlay devices and your built-in speakers simultaneously as well, but focusses more on easy of use and elegance. For more info: http://getporthole.com.